(Breitbart) Glenn Beck is reportedly downsizing his assets as his media empire dwindles, posting his private jet for sale for an undisclosed amount on a site that sells used aircraft. The Daily Beast reported that Beck listed his 1966 DC9-15 aircraft–which he purchased for $1 million in 2015–for sale on Controller, a online retailer for used aircraft. The jet’s registration number listed on the website, N8860, is the same Federal Aviation Administration registration number given to a jet belonging to Mercury Radio Arts—Beck’s radio production company. The 12-passenger luxury jet includes a convection oven, bar with marble countertops, and a fold-out table in the dining area. Mercury Radio Arts purchased the jet in 2015 for $1 million from right-wing billionaire Richard Mellon Scaife. 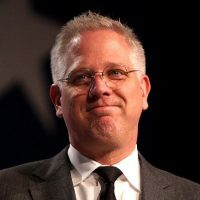 Even though Beck’s conservative media empire struggled financially, he held onto the jet.